On his Blackberry at the Tomtom Coffee House at Elizabeth and Ebury Street in Belgravia, across the street from the Ebury Wine Bar, Christopher emails PVB that in a fortnight he will be in need of a wine bar in Tarascon. 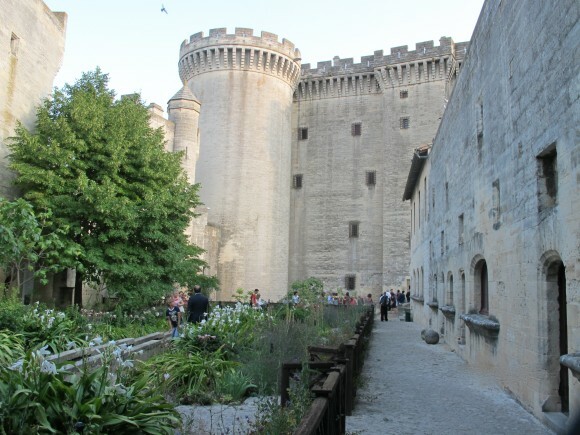 Tarascon, the austere town with its faded sun-washed walls where the massive 15th century Château de Tarascon built by Roi René rises like a remonstrance over the Rhône, has a peculiar attraction to many Brits. It was among all Provence towns the favorite of the novelist Ford Maddox Ford. 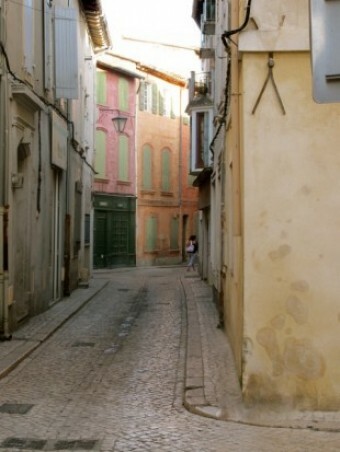 What distinguishes Tarascon from the land-locked towns in Provence is its fleuve the Rhône, the source of the sultry humid air which blankets the town in the summer. Languid afternoons. Limpid nights. Beyond lies Camargue country and the sea. A year ago, I would have strained to come up with a reference in Tarascon for Christopher. Today, my reply evokes a sudden burst of anticipated pleasure: MEO. MEO (Moment, Emotion, Osmose) is a new restaurant, wine bar and tea salon – bright, fresh and modern – sitting on the large square facing the train station in central Tarascon. MEO is the culmination of a thoroughly enchanting culinary journey of owners Chef Johan Thyriot, from eastern France, and his wife Émilie Delouye, a pastry chef from the southwest. Johan and Émilie trained at chez Michel Bras, a three-star Michelin restaurant in Laguiole, a village in the southwest department of Aveyron. After two years under the tutelage of Michel & Sébastien Bras, Johan and Émilie took on a challenging assignment in a far flung locale in northern Japan: managing a thirty-person staff of the restaurant Michel Bras in The Windsor Hotel in Toya. After three years as Director-Chef and pastry Chef respectively, Johan and Émilie earned special recognition from the guide Michelin Hokkaïdo: a third Michelin star for Michel Bras Toya. Their attentions turned to France, and they discovered in Tarascon a place, a cuture and a climate that agreed with their culinary ambitions. The concept of MEO is seductive: choose among haute cuisine dining, special dishes to pair with wine, or delicacies to take with tea – in a dining room, on a sidewalk terrace or in an enclosed garden patio. The wine list at MEO is rich and diverse with bottles from every region of France, as well as wines by the glass. 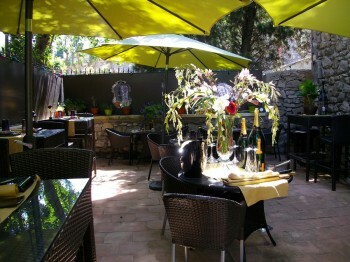 The Provençal-inspired cuisine of Johan marries well with wines from the region (see below). A bright star on the horizon of the French culinary scene, MEO is a “must” to discover if you find yourself in and around Tarascon. Note: MEO is located near the train station. 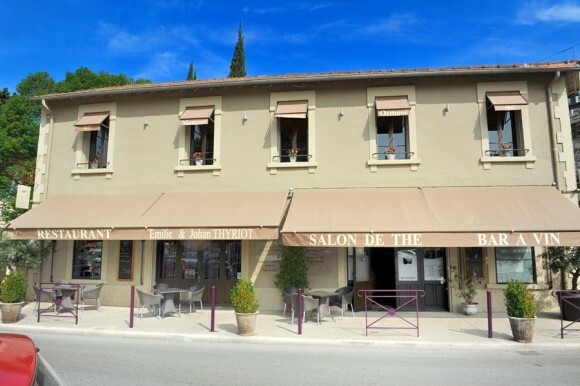 If you are staying in Avignon, take the train from the central Avignon station to the “Gare de Tarascon sur Rhône” for a walking tour of Tarascon, and then revel in the wines and exquisite cuisine at MEO. The last train returning to Avignon is at 8:47 p.m. 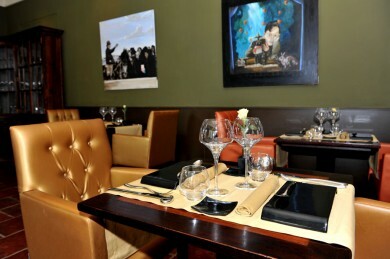 This entry was posted in Food, Wine and tagged Restaurant, Tarascon, wine bar. Bookmark the permalink.